British household cavalry sword pattern 1892 (Mark 1). This sword is marked RHG # 138 on the top of the quillon ( Royal Horse Guard). This sword was designed and built specifically for the three regiments of household cavalry, the life guards and the RHG. 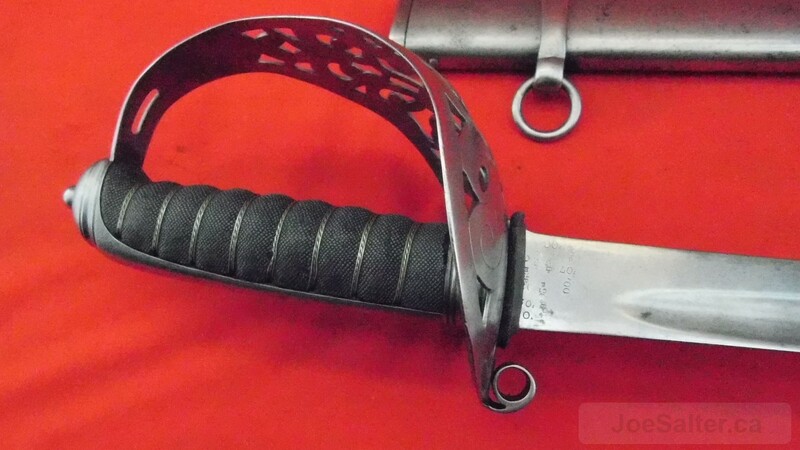 This sword was built at Enfield and is dated 1900, with inspections 1901, 02, 03, 04, 05, 06 and 1907 on the left side of the blade. At some point in time this piece was upgraded to the Mark II configeration as evidenced by the /92 II on the spine of the blade. After the introduction of the 1908 sword the 1892 was retained for ceremonial purposes only (ie parade, palace guard etc.) 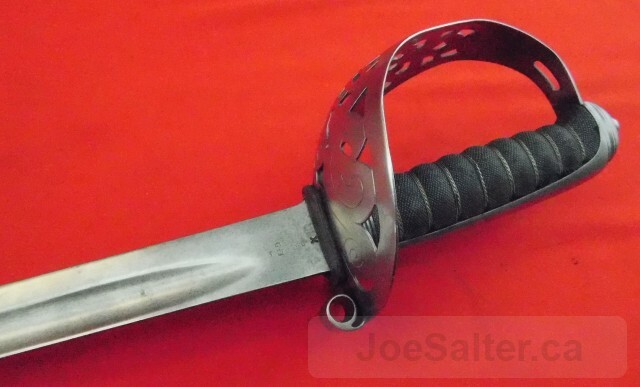 This example shows an excellent 34 1/2" blade with clear markings. The grip shows wear points but retains sound fishskin and German silver wire. The scabbard is sound but shows pitting probably associated with poor storage. The sword to scabbard fit is perfect.